The Lake District Foundation is leading a partnership project to look at the future of donating to worthy causes. The project aims to investigate whether new technologies would work in the Lake District National Park, how they would be received, what they should look like and where would they be placed. The idea is that people who wish to donate money for local projects can do so, even if they don’t have any coins on them. The technology would also allow people to donate without feeling under pressure to do so. The idea is part of the ‘Rethinking Parks’ programme by NESTA, a global innovation foundation which supports new ideas to tackle 21st century challenges.  The project is a partnership between the Lake District Foundation, Cumbria Tourism and the Lake District National Park Authority. The first stage of the project is to conduct a major survey to gauge opinion on a charitable donation scheme using contactless debit and credit card technology, in addition to the more traditional coin-slot collection boxes. The project aims to explore the potential for a new way to collect donations, we are interested in finding out if using contactless technology to collect donations, will help us raise funds that can be redistributed through grants to local projects. The project is funded by NESTA, who are a global innovation foundation, they back new ideas to tackle big challenges. The Lake District Foundation is working in partnership with Lake District National Park Authority and Cumbria Tourism to discover how contactless donation technology could help raise funds to tackle the challenge of sustaining the Lake District now and in the future. At the Lake District Foundation, our vision is that the Lake District will a place where people come together to sustain this special place. We raise funds through donations and award grants to local projects. The small contactless units will be housed sympathetically with interpretation giving information about the area. The interpretation will ensure that they are in keeping with the surrounding area. At this stage we are only testing the technology to see how it might work for the Lake District in the future. Who looks after the Lake District? There are currently 25 organisations involved in the Lake District National Park Partnership. It is made up of representatives from the public, private, community and voluntary sectors. In 2006, the Partnership agreed a Vision for the National Park in 2030, representing a collective commitment to work together in the best interest of the National Park, its environment, communities, economy and visitors.